Capt. 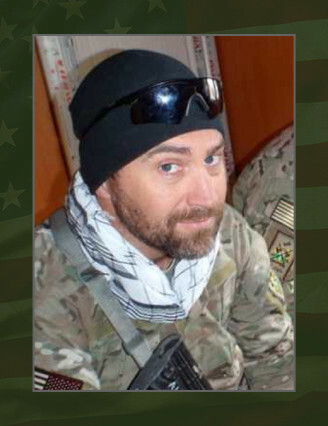 David J. Thompson, 39, died Jan. 29, 2010, in Afghanistan while supporting Operation Enduring Freedom. Thompson was commander of Operational Detachment Alpha 3334, Company C, 3rd Battalion, 3rd Special Forces Group (Airborne) and held that position since January 2009. This was Thompson’s third deployment in support of OEF. He also served in Operation Uphold Democracy in Haiti as well as multiple state humanitarian assistance deployments with the North Carolina National Guard He enlisted in 1989 and attended Basic Combat Training at Fort Jackson, S.C. He then went on to attend Advanced Individual Training as a radio operator at Fort Gordon, S.C. Early in his career, Thompson served as a radio telephone operator and team chief for the Regimental Signal Detachment, 75th Ranger Regiment and subsequently, communications sergeant for the Regimental Reconnaissance Detachment with the 75th Ranger Regiment, Fort Benning, Ga. From 1995 to 1998, he served in Alaska as a rifle squad leader and platoon sergeant with 1st Bn., 501st Parachute Infantry Regt. He later served as a staff noncommissioned officer with the Command Operations Center, U.S. Army Alaska. While attending East Carolina University, from January 1999 to May 2002, he served with the 514th Military Police Company (North Carolina Army National guard). commissioned as a chemical officer. Following his Officer Basic Course, he was assigned to 10th Mountain Division, Fort Drum, N.Y., as the division chemical logistics officer. In March 2003 he was assigned to 1st Battalion, 87th Infantry Regiment and served as a battle captain and rifle platoon leader during Operation Enduring Freedom. From June 2004 to November 2005 he served as the battalion adjutant and rear detachment commander. From August 2008 to December 2008 he served as executive officer for Company C, 3rd Bm., 3rd SFG (A) and held that position until taking command of ODA 3334 in January 2009. Thompson’s military education consists of the U.S. Army Airborne School, Ranger school, Free Fall Parachutist course, Basic Military Mountaineering course and the Chemical Officer Basic course. His military awards and decorations include the Bronze Star medal with “V” device, Army Commendation medal, Army Achievement Medal, Army Good Conduct Medal, National Defense Service Medal, Armed Forces Expeditionary Medal, Global War on Terrorism Expeditionary Medal, Global War on Terrorism Medal, Overseas Service Ribbon, NATO Medal, Combat Infantry Badge, Expert Infantry Badge, Military Free Fall Parachutist Badge, Military Freefall Jumpmaster Badge, Ranger Tab. Thompson is survived by his wife, Emily, their two daughters, Isabelle and Abigail of Pinehurst, N.C, parents Charles and Freida Thompson of Hinton, Okla., and sister Alisa Mueller.